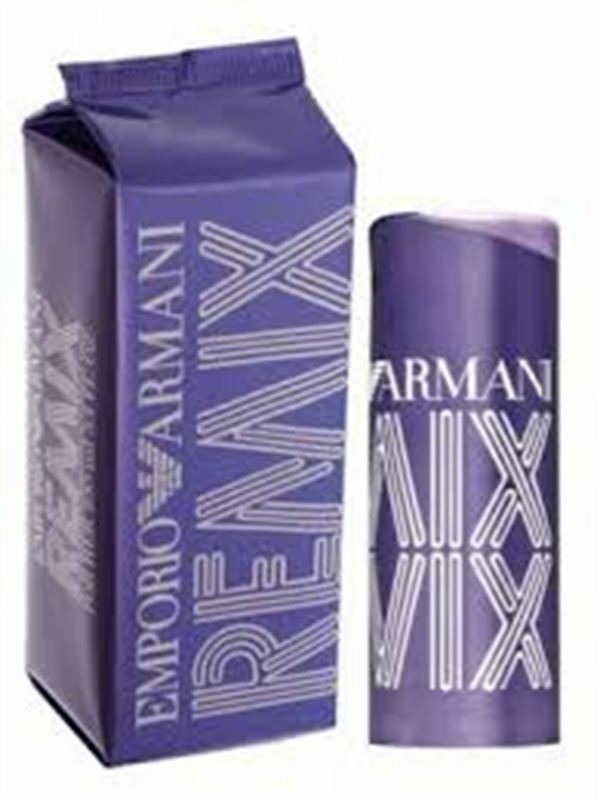 Emporio Armani Remix is dedicated to disco era where there were no inhibitions, no boundaries, a wonderful companion in a colorful vortex of the crazy disco-music. Remix for Her is a classic mix of floral notes along with luminous and fresh fruit. The flowers are harmonized with crisp fruity notes and sensual woody undertones. Top notes include pear sherbet, star anise and cranberry. At its heart, a wonderful bouquet composed of freesia, peony, magnolia and grassy clove. The base includes the notes of heliotrope, musk, cedar and sandalwood. Emporio Remix for Her was launched in 2006.